"Picture perfect reporting tool "
We use this for some of the reports where user is looking for a particular report but not for data extract. Well, most of the reporting is done on Universe and WebI, based on the need we also use Crystal reporting. We have multiple options for defining the formula, including mathematical and logical functions. 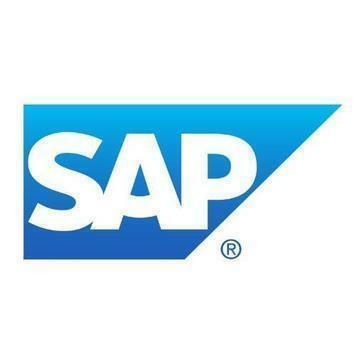 "SAP Crystal - Accessibility and Efficiency"
SAP Crystal provides the customization for the various reports that we generate on a daily basis and also allows for multiple users to feed and draw data from it. I like having everything is one place with the flexibility of expanding or changing if need be. One of the downsides is that you would need someone experienced in developing the reports that you can create in SAP Crystal. We were fortunate enough to have an in-house developer who knew what to do and what we needed. Additionally, I have heard that it can be a bit pricey when switching from another software. It really is a must that you already have a developer on staff or can contract one out for the reports that you need. It's not necessary, but it will save you more time and get to exactly what you need. We use SAP Crystal mainly for generating reports on prospective financial investment opportunities and also for collecting data from various vendors and sources. It's really helped in managing these sources and feeding them into one place saving us a lot of time and effort. SAP Crystal provides joins, graphs, visulaizations, so manay other options to sort, arrange and compress data are available. It allows the customization for the various reports that we generate on a daily basis and also allows for multiple users to feed and draw data from it. I like having everything is one place with the flexibility of expanding or changing if need be. There are lots of functionality a person needs to be familiar with. One of the downsides is that you would need someone experienced in developing the reports that you can create in SAP Crystal. We were fortunate enough to have an in-house developer who knew what to do and what we needed. Additionally, I have heard that it can be a bit pricey when switching from another software. Lot of reports with modified, filtered data according to one's requirement. We use SAP Crystal mainly for generating reports on prospective financial investment opportunities and also for collecting data from various vendors and sources. It's really helped in managing these sources and feeding them into one place saving us a lot of time and effort. "Crystal Reports: A Love/Hate Relationship "
I have used more than a few reporting tools as the BI Manager for my company. Of all tools, Crystal Reports was the one I went to when I needed reports that were very specific and highly formatted. Crystal has an almost intense amount of formatting options and ways to present data. With great power, comes great responsibility. While Crystal lets me do what I need to do, it takes a great degree of skill, experience, and possibly a degree in anger management to use it. This is never going to be something you can give to your average user and expect them to be able to do anything. This is an expert's tool. Seriously...don't get this if you can't handle the learning curve. Very powerful. Very competent. Very complex. We use Crystal to do reporting out of our ERP system. It allows us to create exactly what is needed to support our operations. There are times we need reports to fit a very specific template. Crystal allows us to do that where more user-friendly options fail. This software makes it easy to map data into a report template. I have found it easy to create formulas that can be conditional to be used when creating output for a medical statement. It is easy to create graphs and import some image files. I would like to see it output images with better quality. As it stands right now, the software prefers that you use a png file, and then you have to convert it. The quality of jpegs is very poor. I can understand not handling pdfs very well, but it should be able to handle most of the standard image formats. The company has noticed that production speed has increased. In the past, we have used foxpro reports. This takes longer to generate the output, so we starting using crystal reports. This is much faster, and is much more user friendly. "Crystal Reports Still Gets the Job Done, Despite Fierce Competition"
With many report generating products in the market, Crystal Reports is cheaper in comparison to others. After some practice, it is easy to help create simple reports and pull data from your data source. With more advanced products coming into the market and others existing products making upgrades, I feel like Crystal is slowing fading away. Other products like Tableau and SSRS look years ahead of Crystal and look so much better when presenting data. I think this is a good product to start with if your company does not have an report generating capabilities and don't want to put a lot of financial investment into it just yet. I personally would go for a more advanced product, such as Tableau, as more company are moving towards this anyway and it honest it just exponentially more visually appealing and interactive. I currently work as an analyst for a large healthcare system. Crystal Report is connected to our Electronic Health Records System (Epic) and I use Crystal to pull data to help my organization monitor and help our patients. Crystal allows up to reach out to patients that, for example, have chronic or acute conditions so that we can follow up with them or help get them in Care Management. Once you are trained it's pretty easy to use. One-click data refresh is amazing. Significantly cuts down on report generation time. Supports Oracle, MS SQL, Access, & Excel. Supports more, but those are the ones I use regularly. It even allows me to link data from separate sources together. Formatting is easier than you'd think looking at a report. The filters are robust and easy to set up. Ability to export to pdf for management submission or to Excel for non-Crystal users to slice the data is really helpful. It's a heavy piece of software. It takes a minute or so to open, and another minute or so to log into the SQL server I'm hitting. Part of that is because of the server login, but the software is big. Don't expect to have a lot of other programs running at the same time. You'd need to take a class to really get to know the software. It's pretty confusing otherwise. Take a training class. I attended a 4-day session with long manuals to bring back for reference. You could do some things with classes, but little things like formatting tips you'd just have to figure out on your own. I use Crystal Reports monthly to generate a report of all of our organization's contracts for use by management, and a report of contracts expiring soon for PMs and contract specialists. It has significantly helped us to utilize our existing contracts and to make sure no expiration gets missed. "An excellent tool for creating BI reports. Simple and Robust !!" * Ease of creating Summary fields (Total, Aggregate, Max, Min etc.,). Just a drag and drop and you got your summary! * Support various data sources like Oracle, MS SQL server, MS access, Excel and many more. * The "Add Command to Report" feature allows to create most robust, powerful reports --> I personally love this feature the most since it allows you to create better performing reports with respect to response time. * Easy to using Expert options. * The formula fields support both Crystal and basic syntax.--> this is another feature i like. You can either code formula fields using a basic command syntax or a even much simpler Crystal commands. This tool is not business user friendly. If somebody from the business wants to create a simple adhoc report for analysis then this is something that's not so easy to use. Business users prefer tools like web-i instead. We are able to design highly formatted reports that's based on a transaction database. Crystal reports is a tool that's been used for over 15+ years and we are still able to maintain the reports created 15 years back with very minimal changes is one thing that needs to be mentioned. "Make your reports stand out"
It is easy to deploy and to customise, and also has high-user approval, meaning that a lot of people have spoken about Crystal Reports and suggested to me that it works great. After finding that out, I had a lot of good help from the community who improved my understanding of the complex tool. The licensing model is quite confusing because even though the base price is not very high, you tend to need to add extra add-ons, which all accumulate to an expensive outlook. With SAP Crystal Reports, I was able to make great, complete and simple reports that have really boosted our productivity in meetings. The things that I like best about SAP Crystal Reports are the fact that we are able to create custom reports and better track our performance and results. The real-time reporting and scheduled reports are a great time saver for us and we were able to save a lot of hours that we previously spent on reporting, and work on more important aspects of our business instead. In our experience, SAP Crystal Reports is not very straight forward and a decent amount of training is required before you can use SAP Crystal Reports effectively and efficiently. It is also possible to customize the reports as much as you want, but again, this takes a lot of training to master. We really recommend spending a lot of time on training in the beginning to really understand how the program works. SAP Crystal Reports solves a lot of business problems for us because we are now better able to access results, track spending, track the progress of different projects, etc. "Crystal Reports takes time to master but well worth it"
If you need to create reports and graphs from a variety of data sources, Crystal Reports should be one of the first tools to consider. It does take some time to learn but after you do spend that time, creating reports, even complex ones, is possible in a relatively short time. CR lets you enhance the reporting of many software packages which come with limited built-in reports (instead of paying them extra for custom reports). CR has been around for a very long time, so there are many resources for learning available either books, online articles or online video training. Also, you will most likely find an answer to your question by using a search engine since CR is so well established and popular. CR stores its data in the database, which makes it easy to share, deploy and backup. You can create very professional looking reports without a need to write code. Just about anyone can use it, no need to be a software engineer or understand SQL queries. However, if you are a developer, than you are virtually limitless in what you can create with Crystal reports using its API and 3rd party integration. You can try it for free with their 30 days trial. I think that if you'll spend enough time learning how to use CR, before trying to create your first report, you'll be able to appreciate the package capabilities and judge if it is the right tool for you. Crystal reports has a steep learning curve and it might take a long time to learn how to create more complex reports, so prepare to spend some time training before trying to create a non-basic report. Technically, I think the graphs can be improved as they feel a bit dated compared to other solutions. The vast amount of features added made reports creation a bit too complex compared to what it used to be in earlier versions. Spend time learning how to use this product before creating a report when you use the 30 days free trial. Crystal reports allows you to display data from any data source is a more meaningful, understandable and attractive way. It's always much better to display a clear report when presenting information. "Simply the best business intelligent and reporting"
We love using the ODBC to connect to other databases where other enterprise solutions are storing the data. Crystal reports by far has better reporting than most business software (ERP, CRM). Some of the standard reports are really smart, pervasive and supports our financial decision making processes with intelligence. We also love the idea of being able to nest reports into other reports. It takes a bit of time to get the hang of it and start building custom reports. Also the CR desktop designer needs an update. Spend time viewing CR tutorials online as using the solution can be a bit diffecult. Our accounting and crm systems have limited reporting and act as silos. Crystal reports help us report on both systems in a single report, and the complexity of the reports exceeds what the other vendors have been offering us out of the box. "I am a limited user of SAP cyrstal reports. It is a powerful reporting software for SQL data"
the features included in SAP Crystal reports allows me to create reports that are complex and professional. I like the glut of features included in SAP Crystal. the complexity of the program is its best feature, and its most difficult feature. learning how to use the software is an undertaking. it is well worth the effort though. I would recommend at lease having a basic understanding of SQL queries, and the data structure of your SQL database. I am a Customer Service Support Tech for a proprietary water billing software company. my use and exposure to SAP Crystal is limited to helping our end customers create and troubleshoot reports. the reports that we create and trouble shoot deal with all aspects of water service and billing. "Helpful but a tad challenging to use"
I love that it can pull very specific information from a very large database. You can easily format it to go into an Excel sheet or into a designed pdf. It has so many features that it is very challenging to a beginner. You definitely need to have someone else that uses it to teach you because the books are insanely large and very dense to read. If you have something in mind though, you can always look to forums online. Everyone else that uses it will become your best friend. Read the manuals and ask other people. You can't figure it all out on your own. I am using it to pull data from our database every month to create specific reports based on very specific criteria. It is amazing when I need to set up an excel sheet or even when I need to create a report that is both beautiful and functional within the software itself. "The only Reporting tool I use"
Crystal reports makes it easy for me to collect data from different systems and save them in one place to create comprehensive financial reports. I love how the reports builder is user intuitive and simple to use. Get some training and try it before you buy it. After taking a class on the product i was eager to use the product and begin creating all sorts of reports. The capabilities of the product are endless. If you have a SQL background it could be cumbersome and frustrating, but once explained it is just another language to put under your belt. The reports you can generate are extremely customizable and a great way to reflect or compute raw data into a beautiful report. Also, the Help works very nicely as well. It is not straight-forward. Even with tech intuition i could not figure this program out. I had to take a class so that i could stop spending days on one report, and now i only spend minutes. Take a quick class on how it works, and a book to explain the functions. A great solution to stream your data through in order to make it beautiful and dynamic. Ability to create a report template for a customer, and tell them to purchase the product to pull the information any time they like. With this product i no longer have to do ad-hoc querying and meet data demands. They are able to pull their own information with the report templates i have provided on an as-needed basis. Less work for me! "Setup is somewhat time-consuming, but the run-time reporting is robust"
Configurability, Flexibility. Query ability to bring in data from various data sources. The configurable data fields, calculated fields, special data fields, and database fields are very useful. Querys can be made to force the flow of the reports to have subcategories. The export features of the software to Acrobat .pdf format, Excel format, and other formats make to sofeware very useful. The design and preview tabs are a well thought up report creation environment with a reprt data refreash that allows instant feedback on how the report would actually be generated, when creating a report. Appreciate that there is a support case page on the SAP website, in case there are any know issues with the SAP software. The data connection setup is sometimes complicated, especially with third party data sources that the Crystal Reports development team have not considered. Crystal Reports now charges to use the run-time in third party applications, such as Schneider Electric ClearSCADA. This is undesirable, because the end customer is already paying for the Crystal Reports software to build the report in the first place. There should be at least a one-seat runtime license for connecting to third party applications allowed when purchasing the $495 SAP Crystal Reports software. Make sure you utilze the appropriate Crystal Report version for the third party application you will be using it with. Telemetry reports on real time data. The ability to create scheduled daily reports, exported to pdf format files.
" Crystal Reports makes my job so much easier!" In my office, we integrate Crystal Reports with Cityworks ( a work and asset management program). There are tons of reports that can be derived from all the data and Crystal Reports allows me to get to that data quickly and easily. When someone in my office asks for data of some type from the work management program, they usually want it yesterday. It's very easy to format to make the report look professional. I also like that there is "backup" on the web for help. If you are having an issue that you can't figure out, you can usually type the question into google and find a response immediately. Formulas could be made a little more user friendly. And the alignment buttons could be tweaked a little - they don't always seem to want to line things up exactly. Shop and compare. For the price, try it. If you don't like it, you're not out of thousands of dollars. It's easy to do basic reports and impress others with the more difficult ones. We keep up with labor, projected costs and materials used. We can keep up with categorized labor times such as regular labor, on-call labor and overtime. We have figured out how to move our laborers around to best maximize productivity. We can easily project the cost of an upcoming construction and we can look at what materials have been used in a certain time frame so that restocking can be done quickly and efficiently. "Hard time for testing on trial version (I had a very old version installed not compatible)"
All my disappointing was related to the installation time for the trial version. I had installed Visual Studio 2005 that includes Crystal Reports. It was a nightmare to upgrade. First issue, I just installed the new version of CR and a lot of errors. Then, trying to remove the old version of CR (64 bits) was even worst. I was not able to uninstalled it and took me many hours researching on what to do. After almost two days of work I was able to start testing the new version of CR. When doing a trial testing, be sure to have a clean environment with no other Crystal Reports versions installed. This will reduce the time of your testing. I have legacy reports, very basic ones. I need to do an upgrade of the entire software for working in Visual Studio 2015. Crystal Reports is very easy to use and reduce the time on creating new reports. By upgrading to Crystal Reports 2013 I would like to continue having this benefits and since it is backward compatible I am reducing the time of my migration. "Upgrade for use with Vista"
The reports look so professional with Crystal. Our Project Managers are thrilled to be using this software with our new accounting software. We previously had one report that was custom written for us and now we use crystal for practically all reports. IT IS HARD TO WRITE REPORTS. I don't consider myself to be below average intelligence, but I've had a hard time trying to figure out how to even make changes to reports in crystal and now that I've upgraded, it's totally different so I'm going to have to start over. I took a 24 hour class in Crystal but I'm going to need a refresher class really soon. You will need more than a few hours of training to use this software. Instead of having to purchase custom reports from our software folks, we've been able to manipulate their standard reports to provide all the information that we need on one report and for it to look like our guys are use to seeing. "It's been around long enough so Google searches can help me out of binds"
Well, it's been around long enough so any challenges you encounter you can easily find the solution with a Google search. And for the same reason (ie. it's been around for a while) you can also find email-automation software that works with Crystal to automate reports. I am satisfied with all the emailing options. Long, complex crosstab reports are nearly impossible! I have to think up crafty ways to enter the SQL so I can get the data to appear. For the sake of data integrity, the base of all reports should be the raw data that the report pulls from, and then do the counting, summing, etc. with that raw data. With Crystal it's nearly impossible to work with the raw, row-by-row data. Crystal is very limited when it comes to fancy graphs. If you want that, check out software that uses D3. Otherwise Crystal is great bc it's been around for so darn long, you can get passed any challenge fairly easily. I create utilization data for my public healthcare agency. I work on a medical healthcare database with over 60K patients and hundreds of thousands of records. Crystal works with a software called "Visual Cut" and I use it a lot to automate reports in the early morning before providers and admin staff get to their offices. It is particularly well suited for quickly writing simple reports, even if the user does not have a whole lot of technical knowledge or experience. It is somewhat less appropriate for more complex reports, although it does allow a wide range of formatting options for the report and the data contained therein. The user interface can be a bit cluttered sometimes. The reports are saved in a binary file format and therefore unable to be "diffed" or looked at using source control tools. We use Crystal Reports to create custom reports for several of our clients. Typically, we are in a scenario where the client is using some other software that does not provide reporting that is robust enough for their business needs. We also do some in house reporting with Crystal Reports, as it is the reporting engine that our CRM software uses. "A Flexible and Powerful Tool Hampered by A Dreadful Interface"
I am a graphic designer, so I like that Crystal Reports works. You can do something to get some of the output to look a certain way. There are many tools to integrate your reports with different data sets, back end technologies and existing applications. I dislike practically everything about the portion of the application that handles designing layouts for the reports. Crystal reports gives you tools that work well to process the information. That is absolutely true. However the tools I have used to design the output of the reports is terribly limiting and frustrating. There is a large gap between what you are doing on the back end and how it looks on the front end. Most of this may be simply that as a graphic designer I have high expectations, but for the most part I'm not trying to make a fancy design in Crystal Reports, but rather make a decent looking design. There are many steps involved and I feel like the whole thing is a house of cards waiting to topple over with the slightest nudge. I would recommend looking at other open source packages that are much more simplified. We provide reports to our clients that generate invoices, punch sheets, order estimates and other information in a quick manner. I had Crystal Reports XI R2 installed on my computer. I installed Crystal Reports 2013 along with the SDK and all my applications were still working with the new dll versions. That is impressive. Even better. I deployed an existing application to our production server (which I did not upgrade the dlls) and my application is working like a charm. The only thing I disliked is the installation time. It took a long time to install on my computer. I don't know if it because it is virtualized and/or there were not enough ressources assigned to it but still it took about 45-60 minutes to install. The good thing is that it works well after that. Crystal Reports is a well known product, it integrates with different development environment and when you need help, there are plenty of ressources on the net about it. The features offered are more than enough (at least for our needs) and the price is very affordable. You can't go wrong with Crystal Reports. We needed to automate our semestrial reports. By upgrading our Crystal Reports version, we are hoping to be able to make this task easier. We looked at other solutions but Crystal Reports seemed the logical choice since we were already familiar with it and 100% of our applications use Crystal Reports as a reporting solution. Since the upgrade went well, we don't have to rewrite/modify any of our applications to use the new version. That is a big plus. "Very Easy to use, from basic reports to the more complex"
Its ability to create great reports from a vast range of data sources, makes this a very good and easy way to create meaningful reports. You do not need to be a developer to create any reports making it easy for any one to use, it is also great for creating dashboards and complex reports containing sub-reports. Crystal Reports has managed to create every report I have tried to do without having to resort to using 3rd party reporting tools, making it easier to maintain report projects. User Interface can be bit slow at times. I have found debugging complex reports to be difficult. Some additional functions and improvements have made Crystal Reports more difficult to use and learn. Crystal seems a bit too over complicated for simple reports and maybe other software would be better suited. Deploying reports requires you to install the runtime version of the software for it to work which can become a bit cumbersome, and should be made simpler. This is a great, intuitive way to create quick and complex reports. Give the 30 day trial a go to see its potential. To provide meaningful management reports from various data sources and combing the results, allowing users to choose how they want the report to be displayed after the results have been collated, Crystal Reports has provided us with a great tool for this. "Great solution for custom reporting "
Ability to quickly create custom reports for any need. We are very limited on reporting from our system but this makes it super easy and fast! Crystal reports allows you to extract any data you wish from a database and present it in basically any matter. Once your report is setup, its as easy as clicking the refresh button to pull in the latest data which basically gives you a live feed to any data source. Takes some technical knowledge to build reports but once you figure it out its pretty easy overall. Also, unless starting from a report that is already built, its a bit confusing to link the database you are working with. If you need to display information in a clear way and the software you are using doesn't have a good reporting feature built-in, use Crystal Reports which can interface with many databases to retrieve and display data in reports or graphs. The customization options are vast and you can get your report looking exactly the way you want with either the built-in options or by using (or programming) a third part add-on. Powerful formula tool allows to built complex formulas (and alter them later if needed) with relative ease. The GUI is intuitive and resembles MS Office including drag and drop formatting. It's a very mature product with a large amount of online resources available. So, if help is required a Google search will most likely assist in solving most problems. Crystal Report can be pricy for individuals small companies. If you want to take your reporting to the next level, or working with a software that lacks reporting feature, Crystal Reports is a great tool to look into. They provide a free trial and you can find many free resources online to get you started quickly. It's a great option for any type of visual data presentation and a reporting/charting tool for stuff Excel just can't do. It's truly a wonderful programme in that it can make any old report look stunning and ready for meetings and presentations, simply by a solid functionality. We can make highly formatted and complex query reports easily, once you get to grips with the software. Even though this is a complex query, it does mean we need to do a lot of training before anyone is comfortable to create reports on their own. There needs to be more training resources involved. SAP Crystal Reports is an extremely professional-looking software that really helps take your reports to the next level. However, be warned, you do need to know your stuff to use the software to its full extent. We are using SAP Crystal Reports regularly, and it always seems to function really well, generating reports quickly. We generate a lot of reports, with accurate information and help drive business meetings. It is a blank slate. You can pull data out of a database and manipulate it in just about anyway. There is some free support available online too which was a huge help for me because I taught myself how to use it. Sometimes trying to format the reoport in a way that works well when imported into Excel can be a challenge. Everything has to be lined up perfectly otherwise you will get extra rows and columns which can make things difficult. It can be self taught but having some reports to start from helped me understand how it worked. I would have benefitted from some formal training but it was never provided b my employer. I used it to make reports from our payroll database. Things from YTD earnigns to the report needed to upload 401(k) conrtibutions, Vacation accruals and more. Without it, we would have had to do it by combining other reports in excel which would eventually result in errors. "The software is fine but the customer service is awful." The ability to manipulate and create custom reports for our accounting system. The customer service and systems in place are both terrible. During the purchase process of a single license I accidentally ordered the wrong product (exact same price as the correct product). I immediately noticed this issue upon receiving my receipt and contacted support to correct the error. I was told that their "exchange" policy was for me to purchase the correct license and submit a software key destruction certification. I did this all within 30 minutes of the original purchase. I waited a couple days and after receiving no response I contacted support again where I was told that it would at AT LEAST a month in order for them to process the "exchange" and refund the incorrect license cost. When asked why it would take so long I was essentially told it was none of my business and they would get to when they felt like it. For a company as large as SAP I am very disappointed in their disregard for common storefront procedures and the poor customer service that goes along with it. Able to edit the reports I wanted. "Not very intuitive but able to create any report you could possibly need"
Crystal Reports allows me to display database information in the most efficient way possible. I can customize the SQL query in any way that I would like, and display it however I want. There are endless possibilities in creating a report. Crystal Reports is not very intuitive. I took a week long training course, but since I don't use it on a daily basis I still have trouble figuring it out on my own. My main complaint is that a lot of the interface is drag and drop. I only use 2008 and 2010, but there are so many times when I'd like to enter a size or coordinates for a text box but that just isn't an option. Sometimes the 'snapping' doesn't work properly for me either, so I just have to take a guess. Overall, I wish I could be more precise with the layout. Crystal Reports allows clients to see the database in a more understandable format. This is very important because sometimes this is ALL the client ever sees. Crystal Reports is capable of generating whatever report you may need. "A Exceptional BI Reporting Tool "
I don't mean to wax lyrical but after all these years of using Crystal Reports, I must admit there isn't a lot it can't do! It has an endless list of database connectivity options, an envious formula language, amazing web integration features and support for third-party feature enhancing dlls. I also feel that you're limited (mostly) by the "developer's'" abilities rather than CR not being able to pull something off - there's almost always a way around for almost everything! Crystal Reports has stood its ground until now however, I really feel there's room for innovation. I so wish there was a native 'table' object in CR - I cannot begin to explain how that would make a lot of our lives easier. If there is anything more laborious than gardening then it has to be building a grid in CR! As a developer who writes a lot of Custom SQL, I think it's high time it had a native SQL writing interface. My customers also feel they 'deserve' charts that look polished and are next-gen. A current-gen charting engine (atleast something that WebI offers) wouldn't be a bad thing to have now. The beauty of Crystal Reports however, is that it offers a lot to beginners too. You can still get a lot working for you without knowing the two points above. Also, it has a very lively forum at http://scn.sap.com/community/crystal-reports, where help is always available. We do a lot of Inventory Reconciliation and a lot of that means combining data from multiple disparate sources. Sometimes, you can't wait on IT to stage all this data for you - until then, you have an easy way of analyzing your inventory. "One of the best reporting tools"
The pixel perfect design, ability to use freehand SQL to write my own query to get the output as I require. I have used different reporting tools, but Crystal Reports scores over most of them including Business Objects. It's been a pleasure using the tool to meet my client requirements on most of the time and I can proudly say that I have used this tool and I am satisfied with the way the tool has got improved over different versions. 1. More support for Excel output to get the output as in pdf and also to export the Crosstab as well into excel format. 2. Multilevel of sub reporting. I will definitely recommend Crystal Reports to users and people who are using other reporting tools to have a trail copy and can check for the benefits over other reporting tools. I am using Crystal Reports for close to 8 years and used it for creation of reports for different domains like Banking, Transport, Pharmaceutical, Defence and Energy and I was able to meet the client requirement on most of the occasions while using Crystal Reports. Crystal Reports is definitely among the top reporting tools with it's features like freehand SQL, pixel perfect reporting, support for more types of reports than many other reporting tools. "Very nice sampling of what to expect." I enjoyed the accessibility of the trial - just enough was provided to understand what was to be expected. There was nothing that comes to mind concerning what I disliked. Make sure the training that you are interested in purchasing will teach you what is it exactly you need to know. Some training that can be accessed online only covers certain topics that might not give you the training you truly need, or the type of training your employer expects you to receive. I would be solving the shortage of individuals able to create new and modify existing crystal reports. I realize that having more than one person on our campus with this skill set is a true benefit to my department and the college in general. "Can be incredibly powerful, but not without frustration"
Being able to generate forms automatically based on data in a database is a godsend. The form being able to dynamically grow based on the number of rows in report, makes it incredibly flexible. Interface can be extremely finicky. The slightest touch of an object can push it out of alignment. Can't copy and paste different types of objects at the same time. The ability to give end users a nice looking pdf document based on data in a database. Saves a lot of time for users, to have the forms dynamically generated. "Great starter BI reporting tool"
I like being able to connect to the database directly and pasting a command directly in. I also like the report wizard tool for people who aren't very SQL savvy but want to create reports. This is a great tool to create reports, and it's what I recommend as a first step in BI reporting. It can be very versatile and easy to learn. I wish there were more thing we can do on the fly with Crystal Reports. Comparing it to other BI tools such as MicroStrategy, this can fall a little flat. Dynamic aggregation and set up take longer than it should. Setting up every little formula can be tedious and not having too much flexibility to meet business requirements. If it's a simple data dump, crystal reports is excellent for reporting! It's easy and user friendly. I believe that SAP Crystal Reports is very well suited to any organization that currently has a relatively un-customizable CRM system. If you take the time to input data, you should be able to export it into a usable, user-friendly format. When creating very complex reports, the processing time can sometimes be very slow. Make sure that your data is clean enough to use CR effectively. With a relatively uncustomizable CRM, Crystal Reports has been invaluable for me. I'm able to create more customized, usable reports for members of our staff - from finance to complex donor reports. Crystal Reports has allowed me to balance a need for organized, customizable reporting with our inability to upgrade to a custom-built CRM. "Crystal Reports Saves Time When Generating Reports"
The best 2 things about Crystal Reports are its customizability and its compatibility. It works with almost any ODBC connection and I can customize my reports almost any way I want. The price. It's priced like it's the only game in town because it really is the best option for generating reports from a database. The group discounts do help though. We use it to generate reports from a computer aided dispatch system's data. It helps greatly when our computer aided dispatch system's built in reporting features fall short or when we are just looking for more customization. "Instructor was extremely knowledgeable and very helpful"
Crystal Reports allows me to automate certain aspects of my work. Having a simple mechanism to share data and knowing that my end users can access it without issue is a huge time saver. Some of crystal reports functions are not intuitive and certain aspects of the user-interface could use improvement. You'll find you spend a lot of report building time fixing and readjusting minor layout and formatting things that should be automatic. The is an excellent course if you are a beginner and want to learn the ins and outs of Crystal Reports. I felt extremely comfortable using the program post-training. Within a few says you'll be building real reports using your own data. I work as a Data Scientist for my company and create both internal and customer facing reports. Crystal reports allows me to automate the reporting aspects of my work, leaving me time to explore other facets of the business. The best feature of the Crystal Reports is the ability to export reports in multiple formats (.rpt, .pdf, etc.). Additionally, the development of custom reports is incredibly simple. When I need to run a custom report through the crystal report software it is a little weird that I must click the refresh button. I feel like there should be a more obvious way to make this happen, but it could also be that the custom report that I was provided with was poorly made. I took a brief 8 hour course on using Crystal Reports from my database vendor. I would recommend at least a brief formal training before attempting to use the software for the first time. I run a 9-1-1/dispatch center. Crystal reports allow me to pull information from our SQL database. In the most recent instance it allowed me to create reports for the chat logs that happen between dispatchers and police officers. "Great supplement to our reporting"
The ability to quickly create and deploy reports. The users love the ability to schedule and deliver reports with little need to access the system. I am just getting started using 2016 from the 2008 product. The main thing I was not optimistic about is the same look and feel and the cumbersome AD set up. So I have to determine if there is enough need for it to implement is or force the users to learn yet another password. Read and ask questions. Often the documentation if you can find it is not clear, but the support person was very helpful in providing a clear implementation path to get me going. Support and the site has improved in the past few years, so that is a plus. As far as the output of the product, I do love the report creation and product it offers. I don't know of any competing product that can deliver with the look and ease of the reports. And once set up, it's really a smooth product. Data analysis for our construction business. Also to offset any needs our ERP system is unable to provide. I like that CR is a full featured report designer that you can use outside of established or legacy software systems. It allows the user to link into their databases and create reports without having to ask software companies to add reports into existing programs. Not really a dislike but it can be confusing to a non technical person. There has to be a certain comfort level with databases to write complex relational reports. I am a software developer and the ability to use CR has opened up new opportunities to help companies write CR reports and possibly creating front ends to access those reports in one location. "First time user of Crystal Reports"
The program is intuitive for any competent computer user, and allows us to manipulate database reports in-house instead of having to contract out. Our database came with certain pre-loaded reports, but not precisely what we needed. Crystal allows us to create our own reports to get only the information we actually need. "A fully comprehensible and detailed reporting tool with many great added features! " The product comes fully equipped with a number of excellent reporting tools and the ability to customize to best meet our individualized needs. The technology can also be quickly and easily embedded into our existing platforms. For a small business, the complexity and added features can be a bit overwhelming and unnecessary. Reporting tools also require proficient technicians in order to fully realize these tools and utilize them to their maximum potential. Crystal Reports is an excellent resource for a wide variety of reports, with ease and flexibility for our technical staff to generate just what we need for our specific application. The cost is a bit inhibitive on a small business scale, but mid to large corporations will find that it is as competitive in price as it is invaluable in service. "Great for getting the data you want how you want it"
Able to pull information from multiple databases and create reports and information that filters to what we need to know in a specific situation. "Crustal reports great tool for every developer"
Crystal Reports is easier to connect to any database than any other reporter available in the market. It has a very friendly interface to create dashboards with graphics and also easy to create barcode labels. The only thing is that if you have to use 2D barcodes you have to buy a third party solution for it. We develop custom ERP's solutions and our customers always are looking for new reports, having crystal reports allow us to create custom reports in a fraction of a time and add them to our solutions very quickly. "The Easy way to create your owne report"
It's very easy to user and you don't need to be heavy technical to use it, It's very simple and attractive. SAP company need to work more in interface to be more handling and interface of report to be more sample, also there is issue in exporting to excel of sorting of columns. It's best tool to use it in reports building. uild reports using data from any data source type that has a Microsoft .NET Framework-managed data provider, OLE DB provider, or ODBC data source. You can create reports that use relational and multidimensional data from SQL Server and Analysis Services, Oracle, Hyperion, and other databases. You can use an XML data processing extension to retrieve data from any XML data source. You can use table-valued functions to design custom data sources. "Crystal 2013 Solid as Usual"
Crystal Reports 2013 continues to deliver additional data connection types and, thankfully, has not strayed from it's straight-forward design for development of reports. Developers familiar with older versions can get in and start building reports without a huge learning curve. Developers new to Crystal should find this version to be fairly usable from the get-go as well, considering the very useful report generation wizard. Wish that accessing information in outlook had been a bit more straightforward. I am currently working on creating a report on ticket activity out of Outlook email records. I like the usability and the how easy it is to export it into an excel spreadsheet. We use this enterprise wise and we have a lot of reports that we share between departs through this program. Sometimes is can take an extended period of time to load. I use this to run reports on our inventory in various departments across the enterprise. We have them already preset so all I have to do is update it based on each location. It's so quick and easy to use. SAP Crystal Reports 2016 Supported Platforms, detailing operating systems, languages, desktop hardware, virtualization and cloud support. * We monitor all SAP Crystal reviews to prevent fraudulent reviews and keep review quality high. We do not post reviews by company employees or direct competitors. Validated reviews require the user to submit a screenshot of the product containing their user ID, in order to verify a user is an actual user of the product. Hi there! Are you looking to implement a solution like SAP Crystal?